Why Purple Needlegrass? Even tho most people have probably never heard of purple needlegrass, this grass was selected for many good reasons. 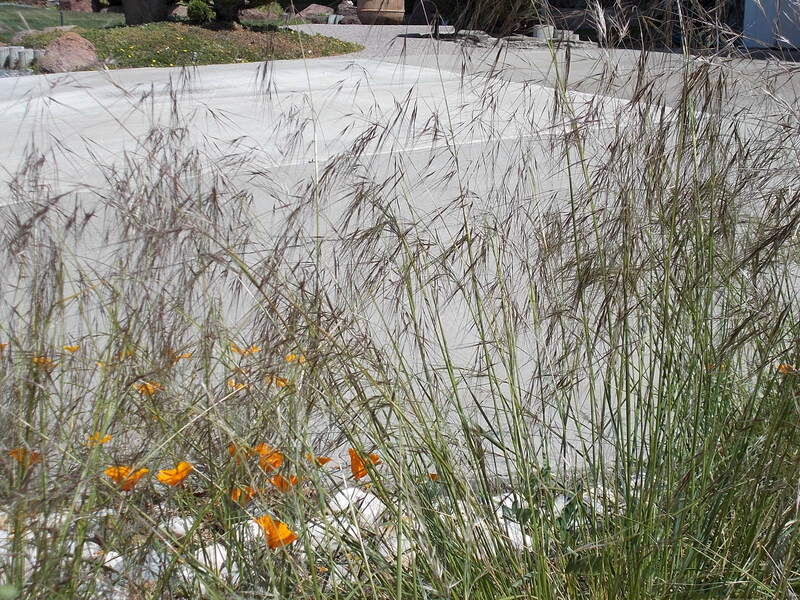 For one, it was the most widespread perennial native grass found on the grasslands of California before the alien annual grasses were introduced from other countries. 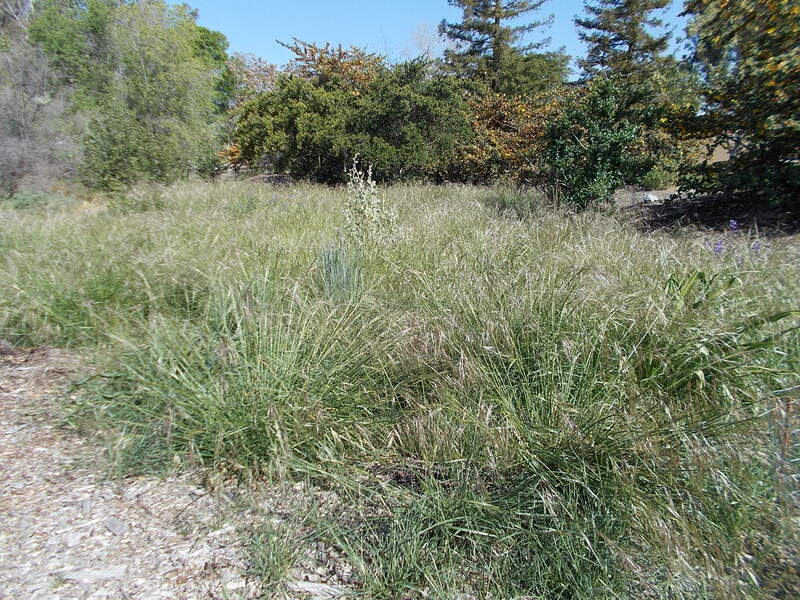 It is still the most common native bunchgrass in places where it has not been crowded out by the alien non-natives. The flowers have a slight purple cast when they are young, but from a distance a field of needlegrass can have a silvery sheen. Its roots may go down as far as 16 feet where it can find water to survive the dry California summers. Its large, fibrous root system makes it useful for preventing soil erosion in sites with poor soil conditions and low fertility. It provided valuable forage for deer, elk and other wildlife. So it is an excellent representative of California’s heritage. 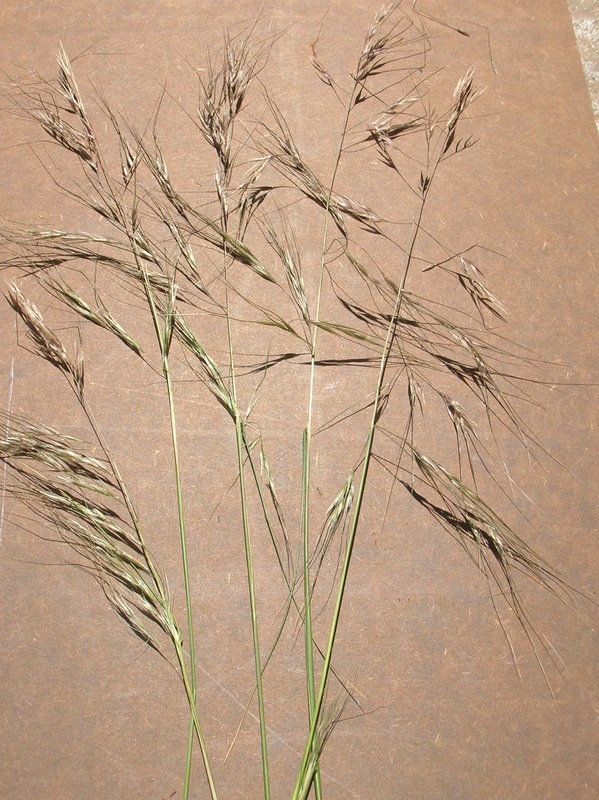 An acre of purple needlegrass may yield 200 or more pounds of seed. This prolificacy made it an important food source for the Native Americans, who would store the dry seeds for months, then toast them or grind them up to make a pinole. If the dry grass was burned in the fall, it tended to produce an even more abundant seed crop the following year. And it is the grass preferred by the California Indian Basketweavers Association for teaching children the art of basket weaving. Smith School Visits the Granada Native Garden Jo Lucas’s 5th grade science class from Smith School, in Livermore, spent the morning at the Garden recently. This was a good time, because so many flowers are in bloom and the weather was so agreeable. 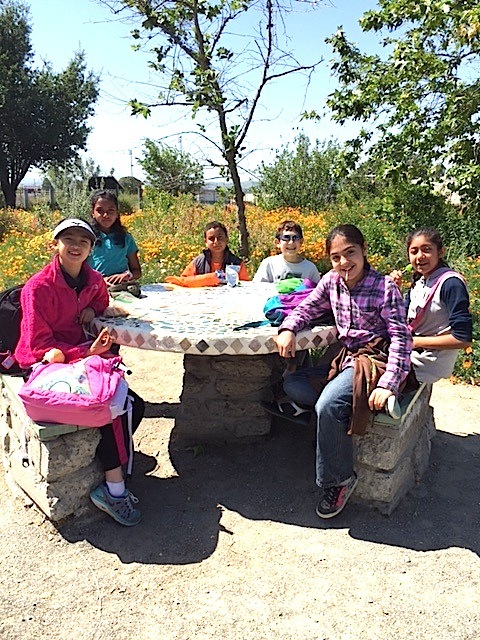 They toured all four plant communities of the Garden, learned about flower parts and flower reproduction, and explored the sticky wonders of our gumplant (Grindelia sp.). Finally, the three mosaic tables at the Garden provided a good place to enjoy their lunch. 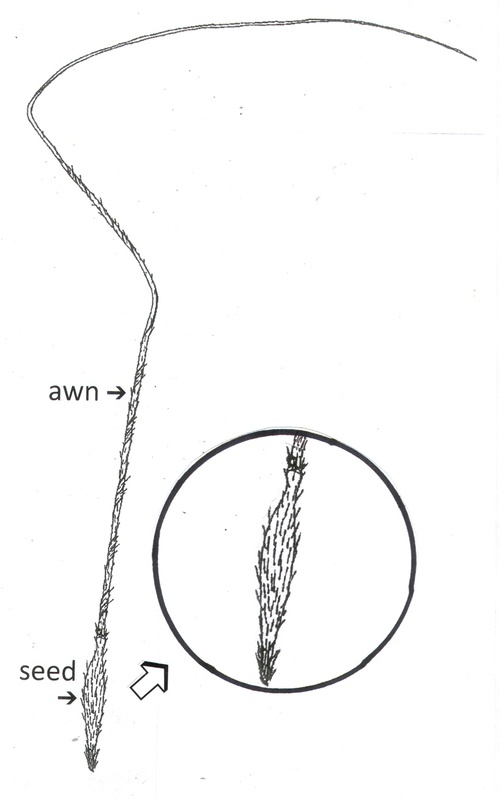 ♥ Special thanks to Lewis Reed, PhD, for his professional information about purple needlegrass, and to Fremontia: A Journal of the California Native Plant Society, Vol.9(1):3-6, 1981, for the illustration of the needlegrass seed. Changes in the GNG’s EMail Address Due to unexplained technical complications, the email address to Jim at the Garden has undergone a couple of changes. The new email address is: JIMatGNG@gmail.com. This will not affect comments that are sent related to the Newsletter. Nice summary of information about favorite grass! Still trying to find time to spend the morning at your restoration project to Native California Habitat! Thanks, Dennis. I enjoy doing the research and putting it together. Won’t be at Ulistac this weekend — too much stuff to do around here.